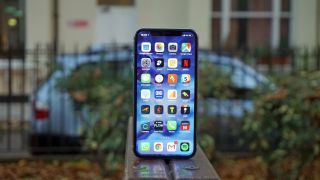 In 2019 Apple could complete its transition to OLED, as a new report claims that all three 2019 iPhones will have an OLED display. Right now Apple only uses OLED on one iPhone - the iPhone X - and most rumors suggest that of the three suspected iPhone models launching this year, two will get OLED screens, while one will stick with LCD. OLED has a number of potential advantages over LCD, including better contrast, which is why Apple’s most premium model sports it, but ETNews, citing industry sources familiar with the matter, says that every single one of next year’s iPhone models will use it. That is, assuming we get three handsets next year, but they add that if a fourth handset lands then one of them might still use LCD. There are two potential problems with using OLED for every model. One being cost. If Apple wants to offer a more affordable option then LCD might be a safer bet, which is what we’re expecting this year with a relatively affordable LCD iPhone 9 alongside a pricier OLED iPhone XI and iPhone XI Plus. The other problem is actually being able to build that many OLED screens. Right now Samsung is Apple’s sole OLED supplier and the report states that it’s possible that Samsung will need more facilities to meet Apple’s demand, while LG could also become a supplier. So if Apple can’t secure a large enough supply or keep costs down don’t be surprised if LCD sticks around for a while yet, but it certainly seems as though Apple is moving towards ditching LCD altogether, and with the likes of the Samsung Galaxy S9, Pixel 2 and Huawei P20 Pro all using OLED, LCD’s days in high-end phones from any manufacturer could be numbered.